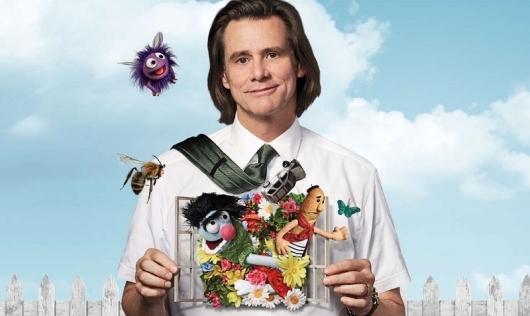 In his first series regular role in over two decades, Jim Carrey stars as Jeff, aka Mr. Pickles, an icon of children’s television and a beacon of kindness and wisdom to America’s impressionable young minds and the parents who grew up with him. But when this beloved personality’s family begins to implode, Jeff finds no fairy tale, fable or puppet will guide him through the crisis, which advances faster than his means to cope. The result: a kind man in a cruel world faces a slow leak of sanity as hilarious as it is heartbreaking. The show is executive produced by Michel Gondry, who directed Carrey in Eternal Sunshine of the Spotless Mind and also directed titles like The Science of Sleep and Be Kind Rewind. Seeing the one-shot below you might thing he himself directed it. But while he does direct eight episodes in the first season, this episode, titled “Every Pain Needs a Name,” was helmed by Robot & Frank and Paper Towns director Jake Schreier. Also starring in the series is Frank Langella, Catherine Keener, and Judy Greer. New episodes of Kidding air on Showtime Sunday nights at 10PM.